The goal of Nature’s Golf is to deliver a full-sensory experience that immerses players into the outdoors, while adhering to a mindful and sustainable approach to golf course development and management. Gil Hanse is known for his minimalist approach to golf course design. He goes to great lengths to ensure that the local habitat is maintained and celebrated through a superior golf experience. For the last three decades, Mossy Oak has been pioneering new techniques to help land owners manage the process of growing and maintaining natural habitats. 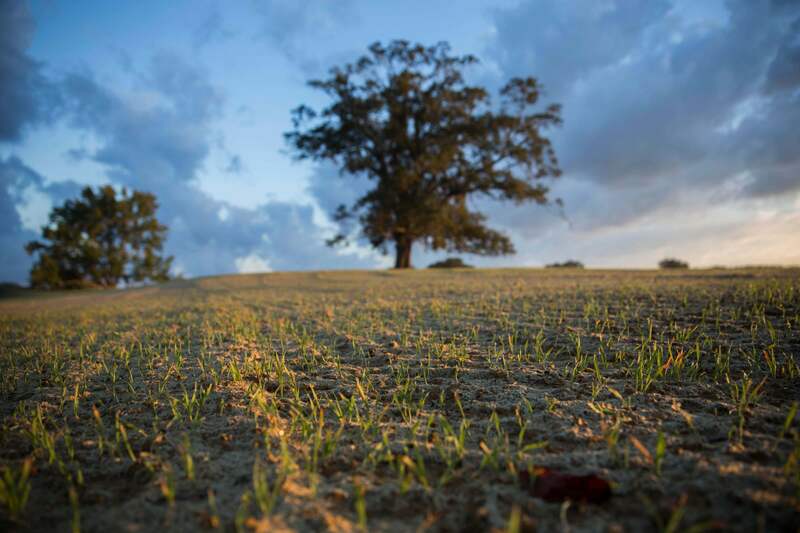 The integrated team of Hanse and Mossy Oak has worked to shape a world-class public golf course that follows the natural contours of the landscape and preserves the local habitat in West Point, Mississippi. Each design element of Mossy Oak Golf Club was carefully considered to heighten the golfer’s awareness of the outdoors and accentuate the area’s natural resources. The goal is to provide a natural purity in how the golfer travels through the course and interacts with nature from start to finish. “Once off the first tee, nature is a highlight of the playing experience, with native grasses, wildlife and creeks interacting with fairways and bunker complexes to blend a sense of place on every hole,” Bryan continues.